Grieve your sister with the lovely heart-shaped Memorial Necklace that is personalized with her name. 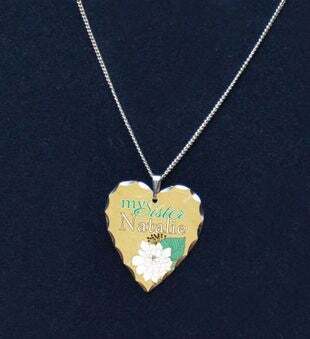 This memorial pendant features an light yellow background with a flower graphic to the side. One of our most popular designs, this memorial pendant makes a wonderful gift for any woman dealing with the loss of her sister.